Commercial Roof Repair Buffalo, NY | Try-Lock Roofing Inc.
Commercial roof repair done right is a great investment. It lasts for years and eliminates the need for an immediate, costly roof replacement. At Try-Lock Roofing Inc., we’ve provided commercial roofing services to the Buffalo area and all of Western New York for nearly a century, specializing in commercial flat roofing and more. Call 716-447-1688 to discuss your repair with an experienced roofing contractor today! 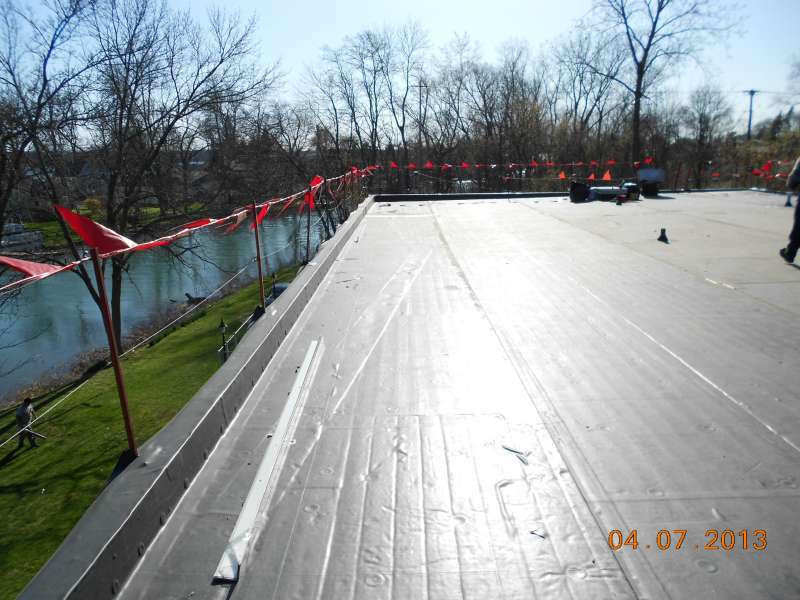 Modern commercial flat roofing systems are made to last. But even the best don’t last forever. After about 20 years, you should be on the lookout for potential issues with your roof, especially leaks. Repairing these leaks, hopefully, will take a few simple repairs and routine maintenance, though once your roof gets to be over 20 years old, it’s probably time to start thinking about total roof replacement. 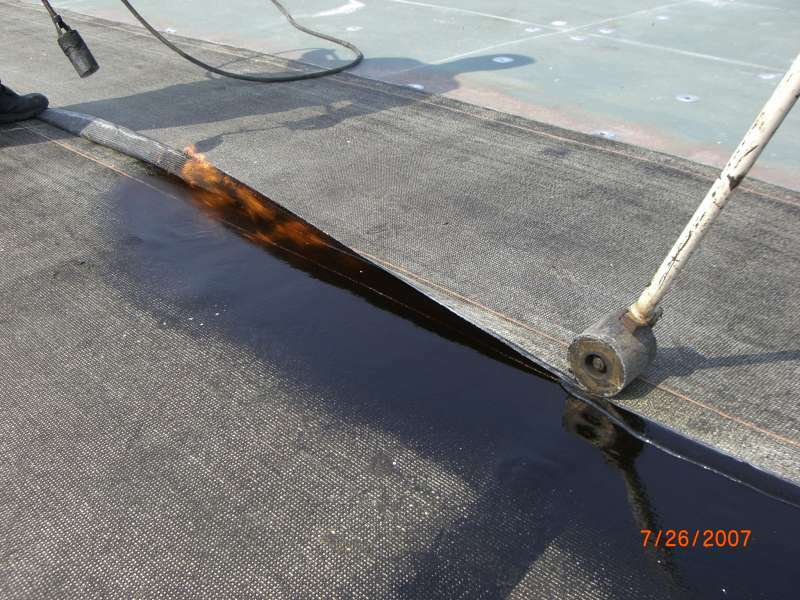 While flat roofing membranes are pretty tough, as they get older, they can develop punctures, splits, blisters and more. This problem is especially prevalent around roof penetrations like HVAC units, vents, pipes and anything else that penetrates through the roofing membrane. Without proper drainage, it won’t be long until pools of water start to build up on the top of your flat roof. If you don’t fix your drainage fast, then it won’t be long until your roof suffers permanent damage that won’t be easy to repair. Flashing along the perimeter of your roof, even when properly installed, can still be susceptible to high winds and other severe weather events. Damaged or loose flashing may expose the edges of your roof to the elements, leading to leaks as well as other damage. If you’re ready for your commercial roof repair, we invite you to call Try-Lock Roofing Inc. at (716) 447-1688 to discuss your needs, We’re the leading commercial roofing contractor in Western New York for a reason.